The Welshman is 11 seconds outside his personal best, while Stephen Scullion and Natasha Cockram run marathon PBs. 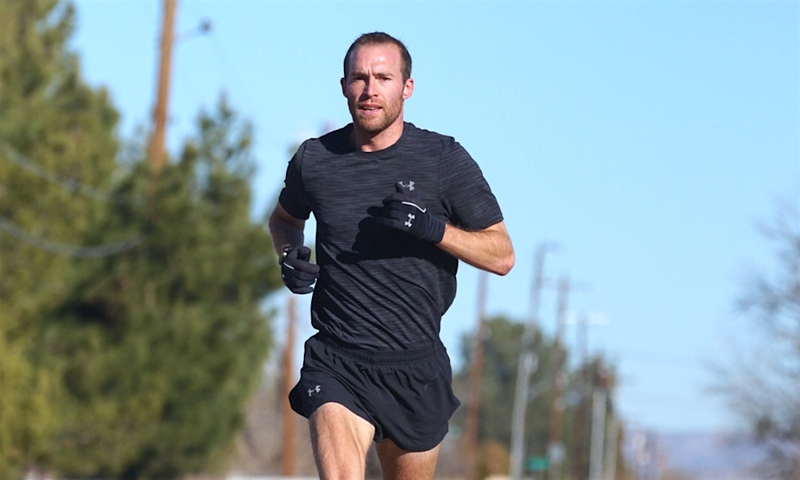 Dewi Griffiths continued his build up to a return to 26.2 mile racing with a strong 61:44 run at the Houston Half Marathon on Sunday (January 20). 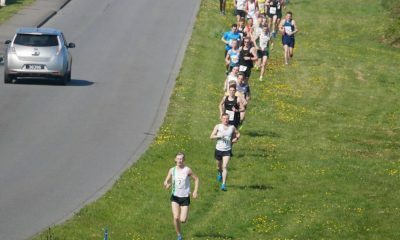 Griffiths was running with the front pack of a high-quality men’s field in the early stages before dropping off the lead group and clocking 28:50 at the 10k mark. 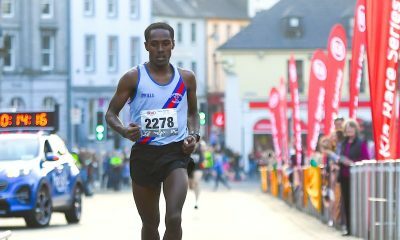 During the second half of the race, the 2:09 marathoner maintained his position among the top 10 and posted 58:33 at 20km – running 29:43 for the second 10km – before crossing the finish line 11 seconds outside his personal best in eighth place. Ethiopia’s Shura Kitata took the win in 60:11. 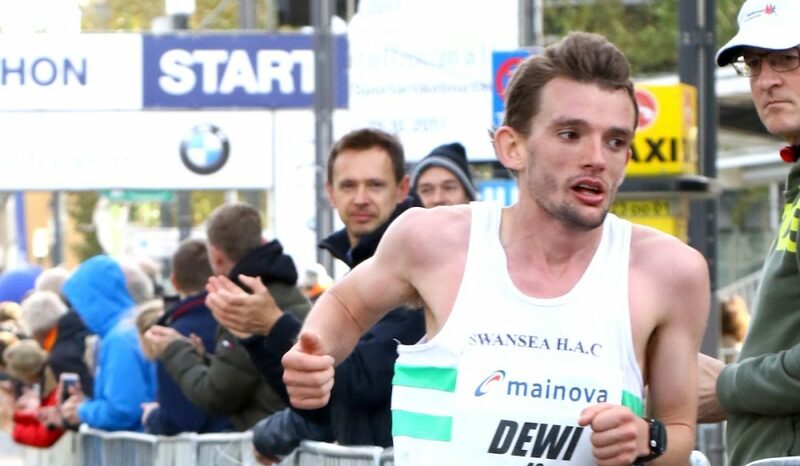 The Welshman’s 2018 season was disrupted mostly due to injury, however, in recent months he has patiently been building back up to his best form – including a 28:49 10k performance – ahead of a marathon comeback in London this spring. 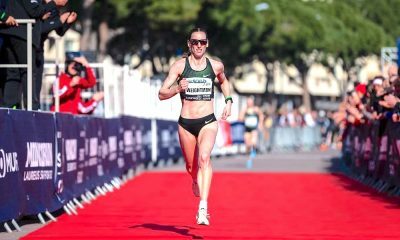 In the women’s half marathon, Tracy Barlow returned to the Texas city and took over a minute off her time from 12 months ago, while Alice Wright, Britain’s second fastest 10,000m female runner in 2018, produced a strong debut over 13.1 miles. GB international marathoner Barlow went through the 10km mark in 33:59 with US-based Wright posting 34:19. As the race progressed Wright closed the gap on her compatriot and by 20km the pair were in 17th and 18th place. Barlow and Wright maintained their race positions in the closing stages and crossed the finish line in 73:03 and 73:17 respectively. Chicago Marathon champion Brigid Kosgei, who will return to the London Marathon in April, won the women’s race in a course record 65:50. Elsewhere, Emily Sisson was just five seconds off Molly Huddle’s American record after running 67:30 to finish in fifth place. In the Houston Marathon, Ireland’s Stephen Scullion broke 2:15 for the first time, while Welsh athlete Natasha Cockram also ran a new best. Scullion, who is sharing his journey this year on Fast Running, clocked a personal best 2:14:34 to finish in 10th place and knocked more than a minute off his previous mark from London last year. Scullion’s race was not without incident though, and somewhere around the 25km mark he took a wrong turn. In the women’s race, Cockram, who is also sharing her journey this year on Fast Running, ran a PB of 2:34:18 to cross the finish line in 11th place. 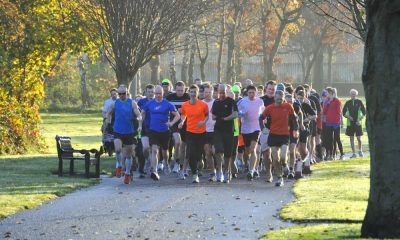 The 26 year-old has made huge progress in the marathon over the last 12 months and most recently clocked 2:35:49 at the 2018 Dublin Marathon. Cockram’s performance in Houston sees her overtake Hayley Nash on the Welsh all-time rankings, with Caryl Jones (2:34:12), Tracey Morris (2:33:13) and Susan Tooby (2:31:33) the only athletes with quicker marathon bests. Kenya’s Albert Korir won the men’s race in 2:10:02, while Biruktayit Degefa claimed the women’s win in a time of 2:23:28.